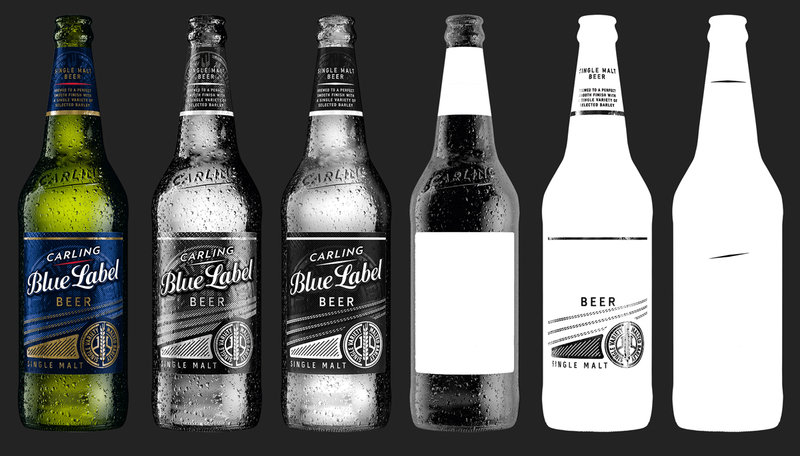 The design agency was briefed by SAB to create a sister brand for their existing Carling Black Label. 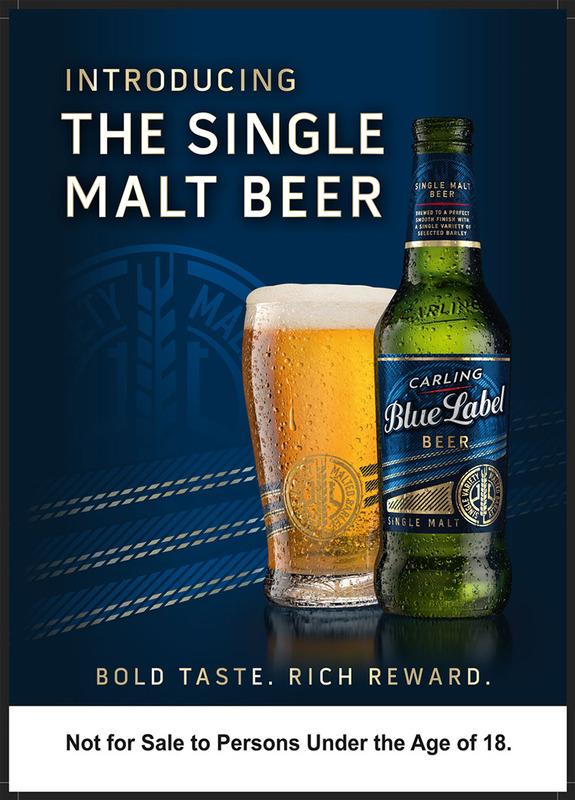 The new single malt Carling Blue Label. 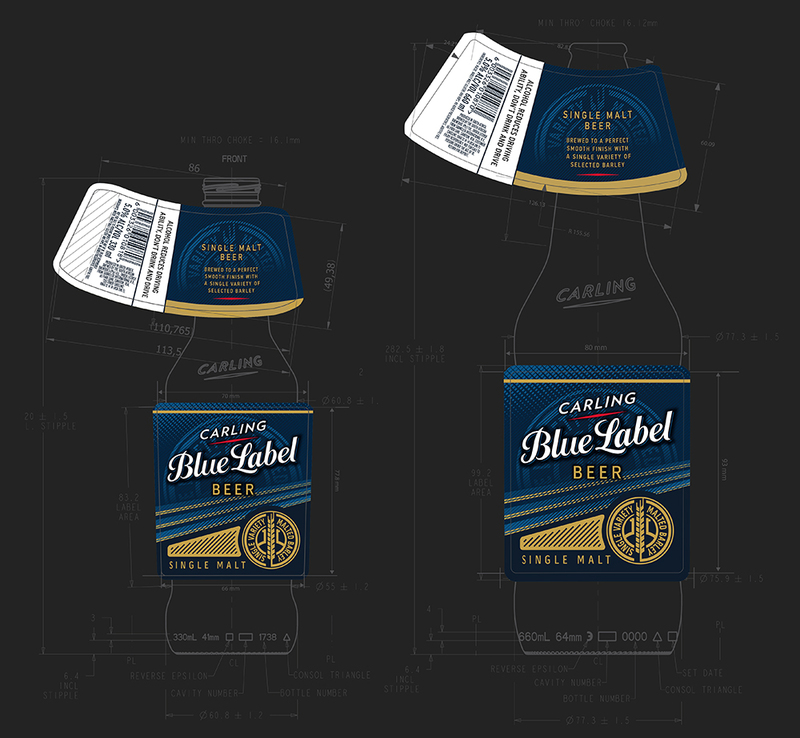 Design implementation was to create a look that was similar to that of Black Label but with a premium feel. Working closely with design and creative directors we were able to achieve a high-end look and feel with a number of premium quality finishes. To achieve this look the label had to have a number of high end finishes. A metalized paper was used to create a premium feel along with a spot gloss varnish finish. 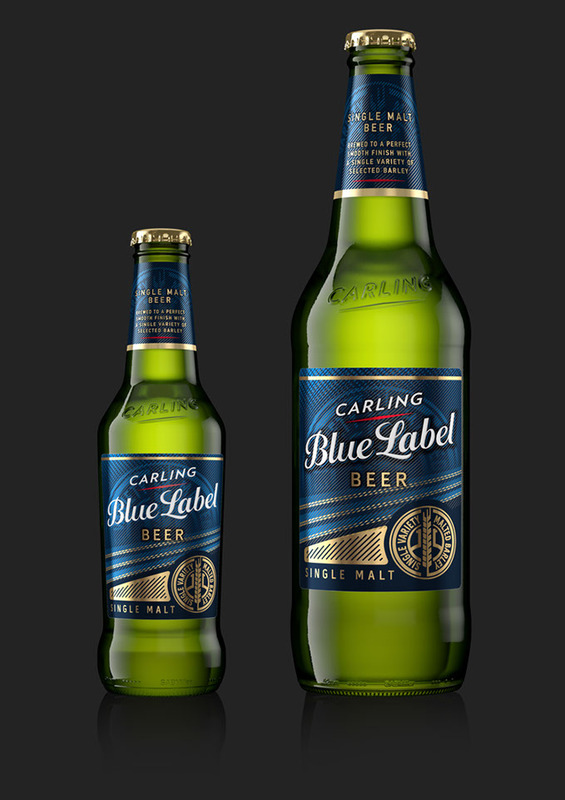 This gave the label the desired look that would capture the intended target market. A lithography printing process meant there was no limitation to the detail and quality . 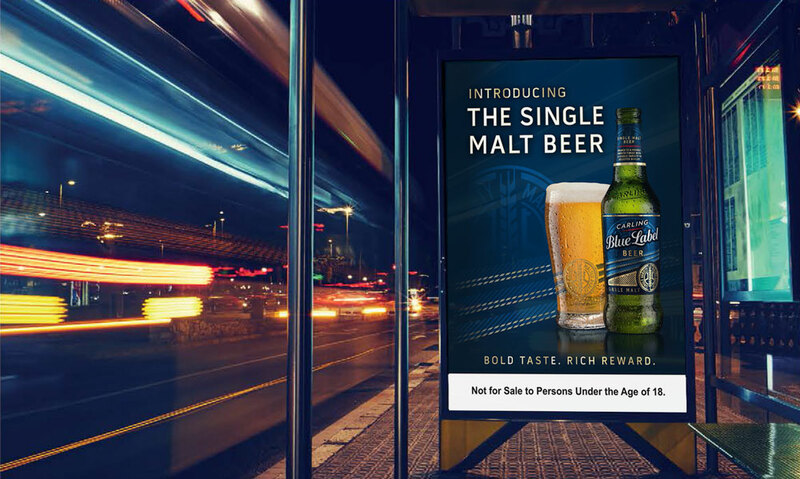 The render team at Berge Farrell were tasked with creating these highly polished visuals for various point of sale items and other applications. 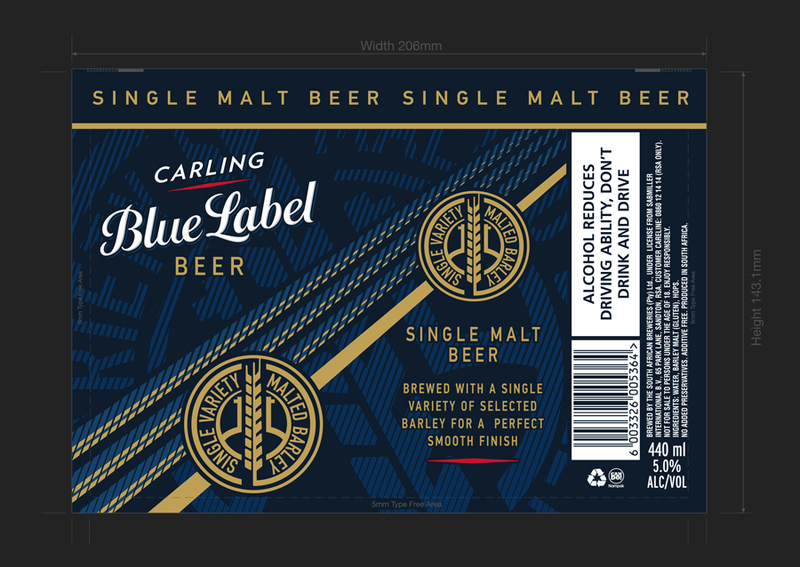 The Carling Blue Label Single Malt 330ml & 440ml cans are a careful blend of textures within the off-set gravure printing process. A Pantone spot colour palette was selected to achieve consistent colour throughout the range for a high-end finished product. 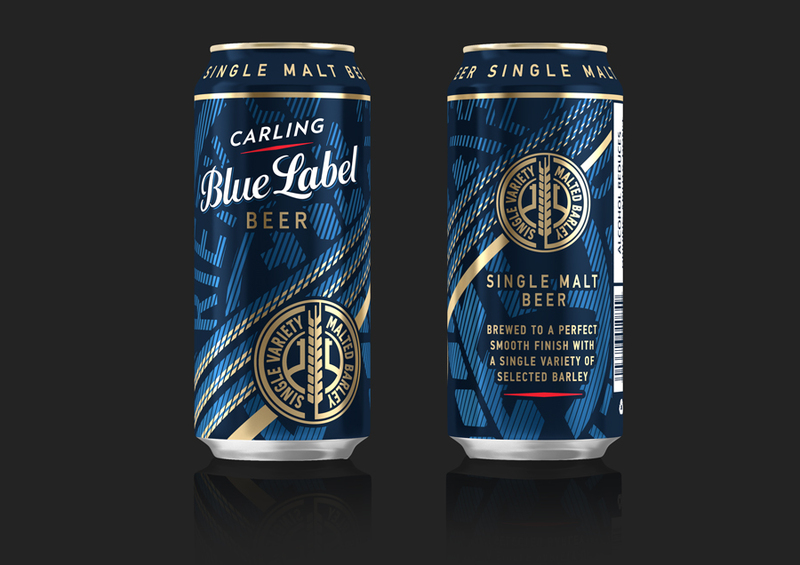 The Carling Blue Label Single Malt 660ml carton original design and print intention was a lithography CMYK printing process. After printer considerations it was decided that it would be better to print the carton as a spot colour process. 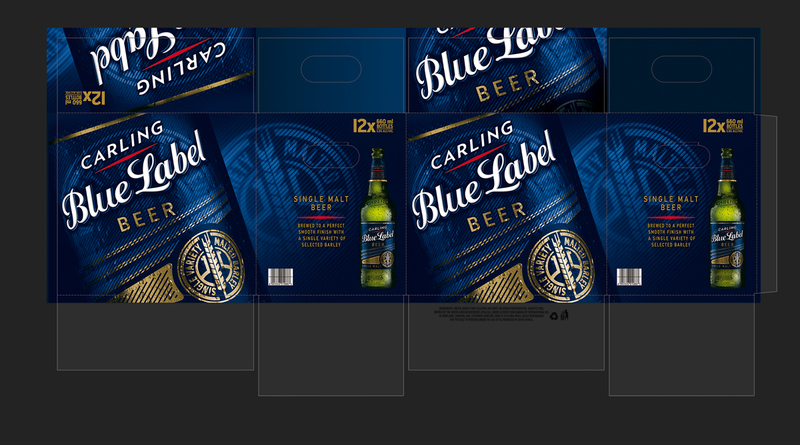 Limitations on press meant the process of separating the CMYK images into a spot colour was required without changing the design. In order to achieve this, channels were separated to create the spot colour visuals. 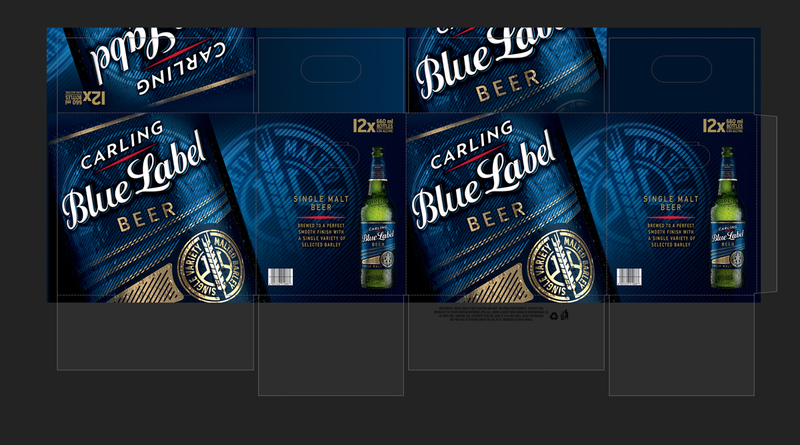 Above is the visual breakdown of the separations involved to achieve the final Pantone bottle artwork. Above is the render visual of the final box as it was intended. Render by Alistair Gaylard. 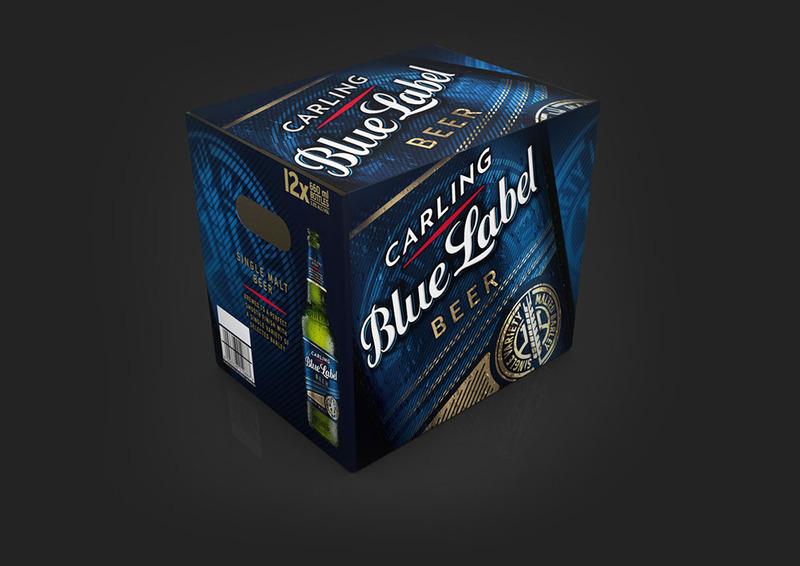 A large point of sale campaign was launched to bring in the new product. Being simple and visually appealing it was applied across a large number of elements namely billboards, flyers and posters. Teamwork was required to achieve the final outcome of a project of this scale.